MY JANE AUSTEN BOOK CLUB: DO WE READ JANE AUSTEN FOR THE RIGHT REASONS? DO WE READ JANE AUSTEN FOR THE RIGHT REASONS? I found this video interview with Fran Lebowitz discussing Jane Austen's fame on You Tube by chance and it made me think over and over about something I have always been convinced of. 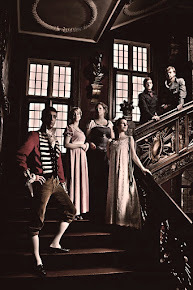 I have already mentioned that fact here on My Jane Austen Book Club, especially when I began writing this blog a couple of years ago. 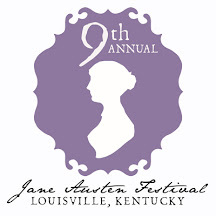 Maybe you noticed that I often asked Austen - inspired writers in our "Talking Jane Austen with..." sessions if they didn't think that movie and TV adaptations had misled our reading and interpretation of Jane Austen's novels. Most film versions - if not all of them - focus on the romantic aspect of the love stories told in the books and that gave start to the illusion that Jane Austen's work was mainly romance. Honestly, Jane Austen is one of the least romantic authors I've read in my life, of that I am definitely convinced. 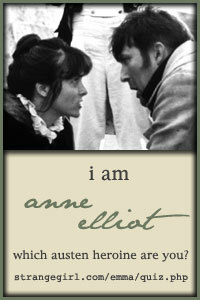 The most unromantic proposals or happy ending in books can be found in her works. She made slight exceptions for Emma (If I loved you less, I might be able to talk about it more) and Persuasion ( You pierced my soul ) but, still, what Jane Austen cannot be considered is a romantic writer. I don't love her the less for that, and you also know how much I love watching the TV series or the films adapted from her works. I found out that Fran Lebowitz expressed the same kind of doubts in this interview. 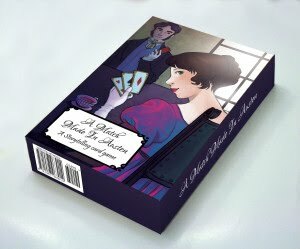 Many people love Austen because they are convinced that she wrote books full of romantic scenes, while she is convinced that Jane Austen's huge popularity is due all to the wrong reasons. She doesn't mention the film adaptations which instead I think contributed greatly to this misunderstanding . Lebowitz's first assumption in this video interview for The Morgan Library NYC is that Austen is so popular because she is in fact misread: "It's because of the enormous extent which she is misunderstood." She adds: " It has to do with the worst kind of girlishness" and it has also to do "with the fact that, for some reason, people use to think that Austen was later in history than she was". She is seen through the lens of Victorianism in which romance had a great appeal. Since people love romances, they simply juxtapose romance to their reading of Austen novels. "I don't think she's popular for the right reasons, I think she's popular for the wrong reasons. In fact, it 's maybe impossible to be popular for the right reasons. You know, anyone who possesses the right reasons will be probably pretty unpopular." So, do we read Jane Austen for the right reasons? Do we misread her novels? If you are interested in the discussion, have a look at this video interview which lasts about 6 minutes. Any contribution, question or comment will be welcome. Interesting point, but I will have to disagree to some extent. I agree that they are not really romances, (and we can be thankful for that!) But I can't agree that loving them for their romantic subtexts is wrong. 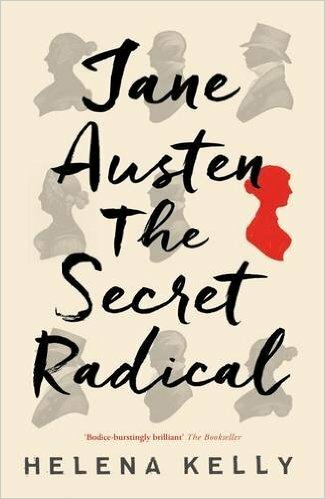 Romance is an element of all Austen works and finding those threads can be just as engaging as finding the social and political humor or enjoying the amazing character development. You're right, love is definitely a theme in all of Austen works,like marriage or friendship. Only she had a different vision of romance respect to our modern conception. Her prose totally lacks sentimentality and also passion. This is what Lebowitz tries to say, in my opinion. Many tend to see passion and sentimentalism where there is almost none. I don't think it matters so much why you you read something as long as it is still being read! I do like her previous statement about books being doorways rather than mirrors! I wish I could repeat that whole argument to our principal! I don't know what is so wrong with calling her books romances (even if I agree they are not all very romantic). It shouldn't be such an insult to call a book a romance. That whole genre has been given a bad rap. Romance is based on feelings, emotions, impulses, imagination, sensuality. There is nothing like that in Jane Austen, what most counts to her is balance, intelligence, sense, common sense, wit, practicality. 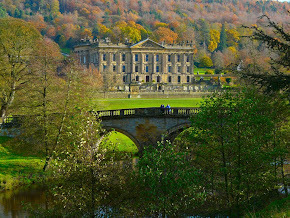 Re-read the final pages of Pride and Prejudice, Sense and Sensibility, Northanger Abbey, Mansfield Park and look for passions, emotions, feelings. You'll only find a witty but rather detached report of how the story ends or a balanced account of facts, often very quick, just hinting at events the reader has been longing for all through the book. That is not at all typical of romances. Nobody is saying that "romance" is bad (I love good romances!) only that it is not Jane Austen's peculiarity if objectively read. 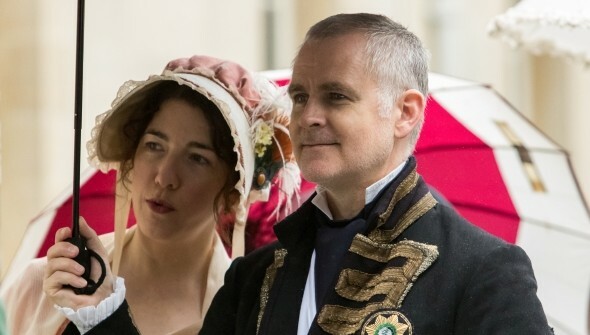 For instance, romance can be embodied by Willoughby and Marianne (which are among my favourite couples with Anne/Wentworth and Emma/Knightley ), but what did Austen do of them? An example of wrong behaviour. Sentimentalism is something she used to spoof about! Sorry, @Phylly! I didn't want to write a second post!!! I only tried to explain my point. But you are definitely right. Readers are always a free to see "more" while reading, according to their personal, individual history. Reading is an active and very subjective process where the reader, each different reader, contributes personally. So, if anyone finds Jane Austen's tales especially romantic, that must be true to them. No, you are right that Austen is not a romantic - but she did write romance stories (just not conventional ones). Each of her books contained a central love story (and sometimes several others) and all ended happily. Of course there were examples of ones that didn't work out, such as with Wentworth. Of course there is so much more to her books than that theme. I do particularly enjoy her wit and characterizations. But I look for the love story in every book - such as Great Expectations -- I prefer the happy ending even though that wasn't Dickens' first choice. I suppose I am just lamenting that by calling a book a romance - it seems to cheapen it (in some minds). Maria, I agree completely with you and Fran Leibowitz. I have heard many say Austen was the mother of the romance novel when I personally feel she was the mother of the modern psychological novel and as such deserves much more credit for her achievement. She took characterization to a whole new level in the development of the genre. Two hundred years later we see ourselves, a family member or a friend in her completely unsentimental, but oh so delightful and often witty depictions. The first time I read 'Pride and Prejudice' I saw my mother. She was not looking for husbands or a wife for her three daughters and one son, but she was Mrs. Bennet obsessed with getting us into the most prestigious universities possible. She loved her children dearly, and as a widow fighting breast cancer, she desperately wanted to ensure our success after she was gone. However, I would not be doing justice to her legacy if I did not admit, she also wanted to vulgarly crow to the neighbors about her children's achievements. Currently my poor husband, who is struggling with the effects of aging has many fears and phobias in common with Mr. Woodhouse. Remembering Jane's laugh inspiring characterization of Emma's father helps me find humor in my beloved's daily littany of things I must avoid. I know I promised you my thoughts on the subject of her depiction of Willoughby, but my husband's health has been particularly difficult this summer. In short, I love the way JA introduces the character to us. She, who never wrote anything in the romantic style of her contemporaries, brought him into 'Sense and Sensibility' in the most definitive way for that genre. He rescues Marianne in a rain storm, scoops her up and carries her back to her mother. Margaret calls him her preserver. He picks wild flowers for Marianne, reads poetry with much depth of feeling and even asks for a lock of her hair--oh my he is swoon worthy. That is, until JA begins to pull the rug out from underneath her readers' sensibilities. We learn slowly but surely what he is really like. It all culminates as he explains away his actions to Elinor. He admits he impregnated a 15-year-old and his aunt thought he had behaved badly--but he insists it really wasn't all his fault. His rationale for abandoning Eliza Williams was that he mislaid her direction. To me Austen wrote a sociopath more than 100 years before the term was coined. The Ang Lee/Emma Thompson movie version definitely played the Willoughby character not as Austen wrote him but to showcase his romantic quotient--Greg Wise looking very fine and no scene with Elinor where he reveals his amoral selfishness. Many viewers walk away thinking that he pined his entire life for Marianne--the only woman he ever loved--without seeing the biting irony in the way Austen summed up her characters in the final chapter. This man loved no one but himself and Jane nails him. Thank you! It was so interesting to read your comment. Thanks again for taking the time, I really appreciate it. 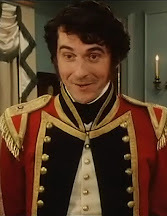 As for Willoughby, he is a scoundrel, but he is the best written male character in S&S. Jane Austen wanted revenge against rakes or what? I'm sorry to hear about your husband's health problems. A big hug. 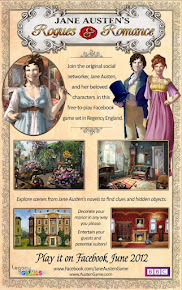 Click on the pic and meet the cast at My Jane Austen Book Club! PERSUASION - Preparing tomorrow's meeting at the library. Questions and answers. Click on the pic and read my interview- The giveaway contest is now closed. I'm a guest at Emily Snyder's Blog. 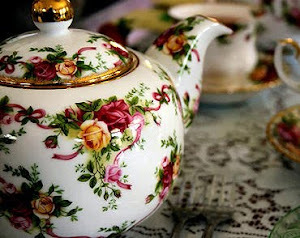 Click on the pic and join us for a cup of tea and a friendly chat.